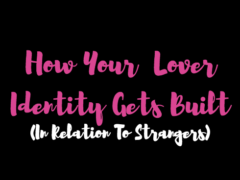 In an earlier post, I talked about Learning Lover Identity. 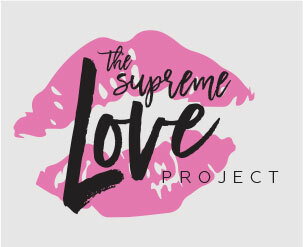 A lot of women have posted their #LoverIdentities in the Supreme Love Project closed Facebook group. I find the discoveries fascinating. My two-part diagnostic is based on my research. It’s organized around the narrative structures of fragmented selves. Fragmented selves are the parts of Self that can be empowered or terrorized. They are the parts of Self that live in the place of the soul and the place of the flesh/body. The idea is that, when taking the quizzes, a high percentage of people will continuously select, as responses, the narrative phrases that partially or wholly reflect endemic narrative structures (i.e. voices and stories) that are the most dominant and subordinate in their soul and body. That’s a fancy way of saying people will pick the voices most familiar to them, over and over and over and over and over again. Quiz #1 assesses the dominant way a person knows, understands, and experiences relating, communion, and the like. It focuses particularly on Self. Quiz #2 assesses the subordinate way a person knows, understands, and experiences relating, communion, and the like with Others. It’s common to have a unique, yet related dominant and subordinate #LoverID. I do. I am a recovering Main Chick (dominant) and a recovering Bonnie (subordinate). These #LoverIdentities have a particular relationship to each other (like each combination of the toxic 5 does). Because I know my #LoverID I know which fragments of my Self are likely to be triggered in a number of situations. Not only that, I know how, when, and where I’m likely to get triggered and why! Even more than that, I am clearer about treatments I need (or that may be helpful) for the parts of my Self that are (or have been) terrorized. I can stop the cycle. It means breaking free from the spin cycle of pain. It means cutting through the fog of grief. It means receiving cool water for the flaming rage. It also means knowing myself with honesty, integrity, and radical wholeness. It means practicing grounded ascendency. Grounded ascendency is an intentional way of engaging with Life and Love. It is personal evolution. It comes with the practice of #SupremeLoving. Grounded ascendency can only be built from the inside out. It’s being in touch, continually, with the BIGNESS and smallness of who you are, every moment of your life. 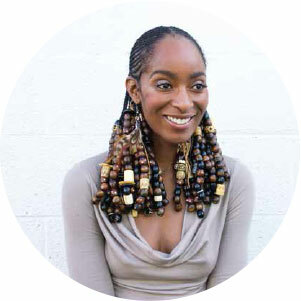 Being a recovering Main Chick and Bonnie means (for me) being keenly aware of my impulses to not do grounded ascendency…to not go deeper and not go higher. 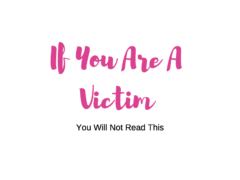 This not doing and not going manifests as my impulse to judge, control, fulfill perceived needs without boundaries, and secure external approval, respectively. When I bring to light the fragments of my Self that carry and organize the thoughts and emotions that generate these behaviors, and understand WHY these parts of me are doing that, and WHAT I can do to help and bless myself and others….well…my life changes. My Spectrum of Personhood gets healed and properly ordered. My interior space becomes more honest, clear, strong, beautiful, and healthy. Then, my exterior space lines up and matches my interior space. 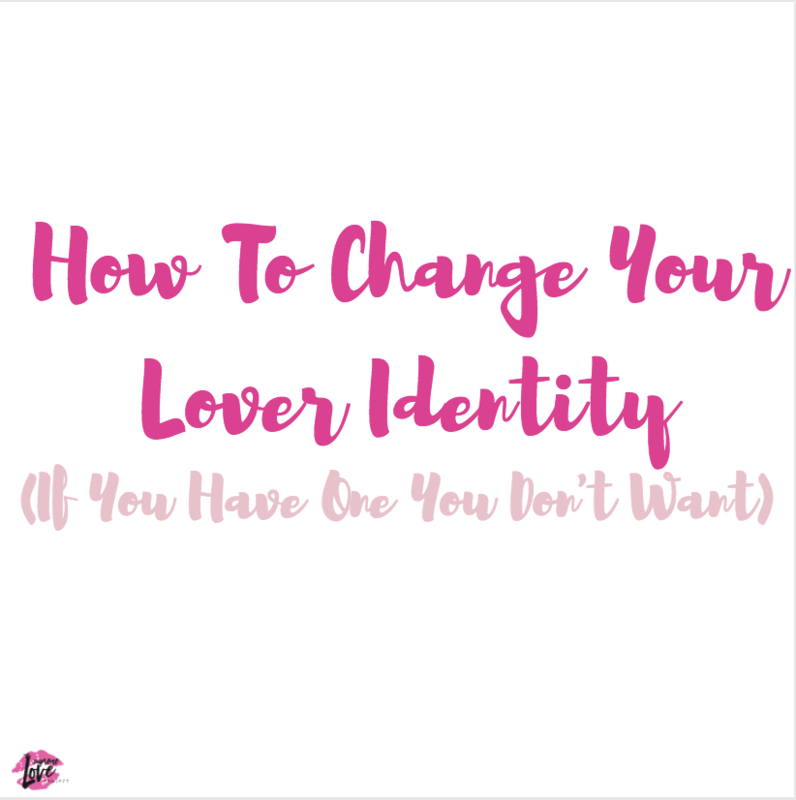 This is what it means to change your lover identity if you have one you don’t want. This is the epitome of relief. This inside/outside matching is called congruence. It’s something to aspire to in everyday life. Congruence is the third step in changing your lover identity (if you have one that you don’t want). Accept your current lover identity. Resist the urge to explain it away, downplay it, dismiss it, or blame it on anyone else. Learn the language of your toxic, reactionary lover identity. Toxic, reactionary lover identities get built from fragmented selves. 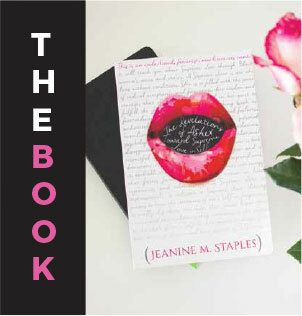 Figure out the voices and stories of your life as a lover and identify the patterns. Actually, you don’t have to figure it out. Contact me. I’ll just tell you. Practice congruence. This is about being honest about what you think and feel and developing new language to communicate that information to yourself, first….THEN to Others. Remember, toxic #LoverIdentities are not static. They are constructed as reactions to White and Black/Brown supremacist patriarchal ideologies and enactments. So, they can be deconstructed. A Supreme Lover Identity subsumes all 5 toxic lover identities and heals them. By learning, loving, and leading the fragmented selves, with Divine Supremacy. This means that no part of you gets left out. It means you can experience Love in totality. Then, you can give and receive Love in totality. You can do this radically, through anchored ascendency, and maintained congruency. You can love and live beyond your wildest dreams. It can happen. You can heal yourself and heal the world. I’m sure of it.